Home»Apps » [Mobile banking and credit/debit cards working] Wells Fargo website app down and not working, online / mobile banking suffers – what happened? [Mobile banking and credit/debit cards working] Wells Fargo website app down and not working, online / mobile banking suffers – what happened? There are new updates that have been added at the bottom of the story…. Looks like there’s a major Wells Fargo outage. As per reports, neither the website nor app is working at the moment. Even text banking is down and cards can’t be used as well. @Ask_WellsFargo @Ask_WellsFargo ok so no account access by phone nor web nor ATM and debit card purchase denied! Now I call customer service and no agents are available due to overwhelming calls. SMDH What happens to all bill payments? @Ask_WellsFargo your mobile and online banking sites are down, do we need to be worried about security? @Ask_WellsFargo your website is down again for@the second time in less than a week! Is it just me or is it truly taking forever to sign in on @WellsFargo? I’ve been very disappointed in @Ask_WellsFargo ‘s mobile app and online banking. Slow, clunky and as of this morning, just doesn’t work! As of now, the company hasn’t said anything through its social media channels on the ongoing service disruption, but we are keeping a close eye. Will update the story as and when we have more newsworthy information. It’s worth mentioning that this is the second time this month Wells Fargo has suffered such a major outage. The company even publicly apologized for the previous glitch that happened on February 01. We apologize for the issue we had with our online banking and our mobile app. Our technical teams have resolved the issue. If you continue to experience issues please let us know. Are you affected with this outage. Share your thoughts with us in the comments section below. Turns out it’s over an hour and the Wells Fargo systems are still down. @Ask_WellsFargo Your site is still down (over 1 hour again). Your phone support (as always) says high volume. It's amazing that you always have high volume. That does b/c regular volume. Will you ever get these issues fixed or should we just move everything elsewhere? A customer who got in touch with a Wells Fargo rep says they were told the company knows about the ongoing outage. Sadly, still no word on when it will be fixed. Not sure about all services, but at least the card service could be back up in an hour or so. It’s really worrying to see that after hours of this major outage again today, Wells Fargo hasn’t yet issued any official statement yet. @Ask_WellsFargo Up to 4.5 hours of downtime (not sure when it started, that's whey I tried to first login). Can't get you on the phone. Can't send you an email. Can't login. Can't do anything and you refuse to help in any manner. We are wondering if it’s just a technical glitch or have they been hacked? Going to a Wells Fargo branch is apparently a solution for now. Their able to give cash, but you have to fill out a withdrawal slip and show photo ID. They can't issue cards, can't use debit cards and I don't recommend u do a transfer. No more update from the bank as of now. FWIW, these recent outages come just a few weeks after Wells Fargo hired a new Head of Technology. Tough time for the gentleman named Saul Van Beurden. We’re experiencing a systems issue that is causing intermittent outages, and we’re working to restore services as soon as possible. We apologize for the inconvenience. 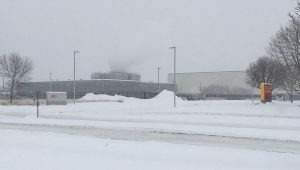 You know what the issue is, fire suppression went off in one of your main data centers from some utility work this morning. You have zero power to any of the networking infrastructure or servers and your fail over plan didn't work. How are you this bad at being a bank?!?! For even more info, read this Reddit post. The bank’s internal systems are up, but no ETA for when systems will start working for customers. Click the Facebook link in tweet below. Another official word. 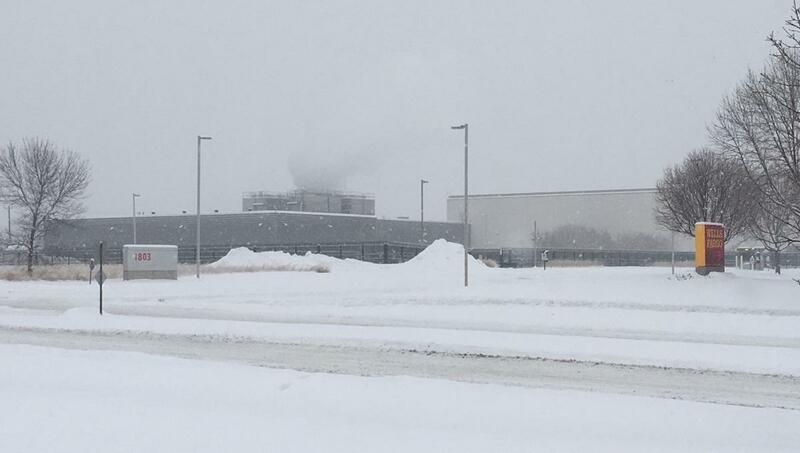 Wells Fargo confirms fire at data center as the reason behind this outage. Don’t fall for such pranks please. We are getting reports that the Wells Fargo apps have started working now. @PiunikaWeb Am a @WellsFargo customer and currently able to login through the app. Credit card still isn't functioning but everything else in Account Summary is available at the present moment. Meanwhile, fresh reports say construction dust is to blame. ATM NOW WORKS AND I WAS ABLE TO WITHDRAW MONEY AND MAKE A PURCHASE!!!! Systems are slowly coming back up now. Wells Fargo working for me so..
Another official word from Wells Fargo, this time about fee refunds. We want our customers to know that this is a contained issue affecting one of our facilities, and not due to any cybersecurity event. We apologize for the inconvenience caused by these system issues, and any Wells Fargo fees incurred as a result of these issues will be reversed. @Ask_WellsFargo my direct deposit is not showing in the app this morning. It’s been there every Friday for 14 years. Please update. For those who are affected by the @WellsFargo system and expecting a direct deposit today, please note that if you call the number on the back of your debit card, the phone system will have your correct account balance. The Wells Fargo Mobile App account balance is not updated. It is a system separate from the one that runs online banking. It will tell you your real current balance. App says I'm "$-9.00" phone says I got paid. If you have Wells Fargo: if you transfer any amount of money between your accounts (say checkings to savings, or vice versa) your direct deposit appears. And let us know if any of these work. Hey guys. My direct deposit just showed up in my account. Go check yours. It may be there. Meanwhile, the Well Fargo systems are down again for some users. We sincerely apologize for any inconvenience. We know this has created difficulty for our customers, and we are sorry to have let you down. Please reach out if you have concerns or need help today, and ask for your understanding as our phone wait times may be longer than usual. Many branches will extend their hours by one hour Friday, February 8 (and Saturday, February 9, if normally open) to assist our customers. My interest in technology and writing started back in 2010. Since then, I have written for many leading publications, including Computerworld, GSMArena, TechSpot, HowtoForge, LinuxJournal, and MakeTechEasier to name a few. Here at PiunikaWeb, my work involves covering on daily basis the biggest tech stories as well as scoops that you won't find anywhere else.